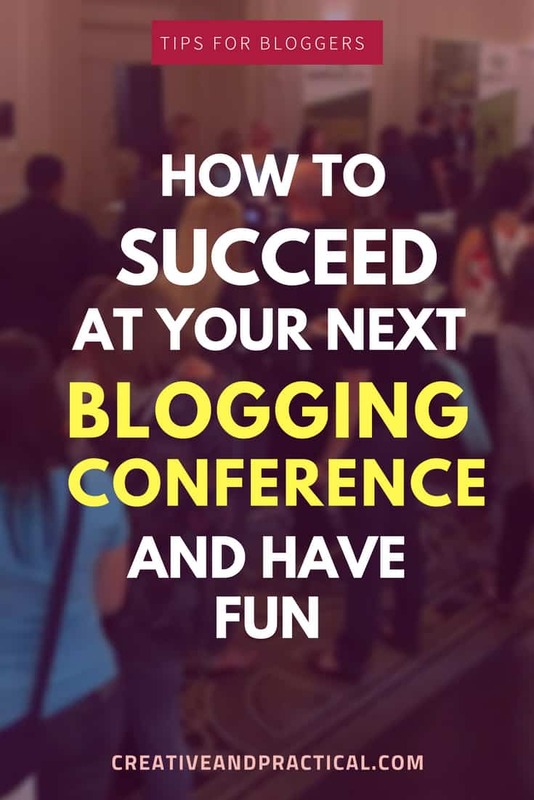 This Post: Best tips to prep and succeed at your next blogging conference or networking event. Attending a blogging conference is an investment in your business and yourself. Therefore you’ll want to make sure to get the most out of it. You can get download them for free and gain access to the CAP Community Resource Library and exclusive Newsletter. One type of session during a blogging conference is a panel discussion. During panel talk, you can find about a half a dozen experts discussing a specific topic. Typically, a moderator will lead the panel and ask questions and you’ll get a variety of insights and views on the topic. Panels are great and one of my favorite kind of events. One of the perks of attending a blogging conference is that you get the chance to meet and connect with industry experts. Maybe there’s somebody whose blog, podcast, or YouTube channel you’ve followed for years. So, now it’s your chance to meet them. Look at the speaker lineup and think whom you’d like to meet. It’s a good idea to spend some time to research what they have been working on; this will also help you to think of questions you might want to ask. If you don’t already follow them on social media, it’s a good idea to do it before the event. Likewise often the speakers themselves are excited to share and promote the event. Maybe, you can leave a comment that you’re very excited to meet them and look forward hearing them speak. So how can you best approach a speaker/expert you’d like to meet? Be mindful that there is a fine line between naturally approaching somebody and fan-girling somebody. I’d suggest – don’t run over them right after their speech. Why? Because chances are that that’s what a bunch of other people is doing and you’ll ‘drown out’. Instead, take some notes during their speech and find an opportunity later in the day to meet them and connect with them. Point out something you’ve liked about their speech; this shows them that you’ve connected with them and their work. Bloggers as a whole tend to be a very supportive community. Many of the experts I have met have been exceptionally gracious with their time and expertise. Blogging can be a lonely business. A blogging conference turns this upside down. You’ll be amidst by a ton of people. That’s great (and can also almost feel like a culture shock). You’ll find inspiration from the things you learn in your sessions and niche groups as well as from the interaction with your peers. You’ll naturally soak up new inspiration! Especially, if you’ve been experiencing a creative slump (writer’s block anyone?) mingling with other bloggers give you a boost for weeks to come. Sessions and panels are great and can turbocharge your knowledge within in a short period. But the real value in a blogging conference lies in networking. Chances are that you are the only ‘blogger’ among your circle of family and friends. 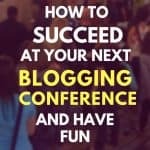 A blog conference gives you the chance to meet and connect with other like-minded bloggers and content creators. I don’t know about you, but saying ‘I am a blogger.’ is something that takes practice. You’ve probably experienced some politely raised eyebrows or less polite questions – at a blogging conference; you’re among your people. Get to know other bloggers and learn about their stories, interests, and blogs. You’ll find that you’ll probably have a quite a few things in common. You’ll be amazed at how many truly inspiring people come to a good blogging conference. Networking done right is how you get a return on your investment. But how do you do that? Be real and have genuine conversations. Ask questions about the person’s blog and business. Listen to what they say and don’t just wait until they stop talking so you can tell them about your fabulous blog. Asking simple, open ended-questions give your conversation partner room to answer. The more genuine the relationship, the more beneficial it will be for them and you. You don’t have to change become a different person when you begin to network. But consider that approaching somebody with a smile is more pleasant for the other person. Maintain eye-contact and engage the other people by asking open-ended questions and be interested in what they have to say. You’ll be amazed at how many people have amazing and inspiring stories. Listen and focus. Try actively to listen to what the other person is telling you. Your goal is to create meaningful relationships. Ask follow-up questions and demonstrate that you are interested in them and the things they have to say. Say YES to invitations. If you’ve been asked to join a smaller group for lunch or dinner, go and use the opportunity to get to know them better. Remember you don’t have to attend every pre-organized event, talk, or session. If you have the choice between a get together with like-minded attendees and a session, I’d recommend to network. (PS: Conferences will often record their sessions, and you can often download them after the event). “So, what’s your blog about?” For many of us, this is a ‘deer caught in the headlight moment’. Besides that our palms get sweaty, our answers start to be all over the place, and may even start into a nervousness-induced ramble. But it doesn’t have to be that way! To avoid that awkwardness, start by having a plan what you’re going say. In other words craft an elevator pitch. If you’re unfamiliar with the concept; an elevator pitch is a brief 30-60 second summary of what your blog, shop, service, or business is all about. Once you’ve crafted that idea, start practicing telling it to others. Your mirror is a patient listener and when you feel ready to practice with a spouse or a friend and ask them for input. If you want to take the elevator pitch to the next level, you can also alter your approach. Rather than launching directly into your story, you might ask them a general question that is related to your business. Let’s say you blog about sewing? You could ask something like: “Have you ever thought about being able to sew your own clothes but have been intimidated by complicated patterns, equipment, and techniques?” Give the other person room to ask more questions. If they do, it’s a good indication that they care what you have to say. If they don’t have more questions, you can shorten your elevator pitch and ask them instead what they are doing. If you are an outright introvert, you realize the benefits of networking, meeting new people, and forging new relationships but the truth is it can also be quite overwhelming. So here are few tips from one introvert to another. Try to go into the networking events with a relaxed mind. You’re not the only nervous person there. This is a professional event, not middle school. You will find that the majority of people are genuinely interested in making meaningful connections and have the chance to meet other bloggers – including you. Give yourself breaks. If you’re introverted, you are most likely not going to meet as many people as somebody who is naturally super outgoing. That’s ok. You do what feels comfortable to you. Organizers are well aware of introverts and often try to make it as easy as possible for people to get to know each other in a relaxed setting. Ask questions. Asking questions is a winning strategies. Especially if you don’t feel comfortable to ‘put yourself out there’ and immediately start talking about yourself. Most people love talking about themselves and it will give you some time to collect your thoughts. If possible have a buddy. Maybe you already know somebody at the conference. To get over the hump ask them to tag along for a while. I’ve alluded to this before, but conferences organizers are well aware of the challenges introverts face and often set up smaller groups even before the event. If you don’t know anybody,take advantage of the smaller group settings. Making a few friendly connections before the event can make it less stressful. If you don’t feel networking, find other ways to make connections. For instance, offer to take notes during a session and share them with others afterward (not everybody is going to make every session and might appreciate your effort). If your event has a private group share that you’re taking notes. Many events will have a custom hashtag to share what you’re doing. Have you been to X location before? Have you ever been to X blogging conference? What has been your favorite event so far? Who’s your favorite speaker? These are just starters. Try to be as relaxed and calm as possible and be yourself. Consider that your conversation partner may be as nervous as you are! So how many people should you meet. There is no fast rule on that. Ideally networking should happen as organically as possible, but a good rule of thumb is to plan to meet between three and five people for every thirty minutes of networking. Take a break when you need to. You got this! No matter where you are in your blogging journey you’ll find other people who are in a similar position. To be honest, this was something I didn’t expect going to my first conference. For instance, I thought that all attendees at Activate had launched their blogs. Nothing could have been further from the truth! During the pre-conference networking event, I ran into a dozen people who were working on starting their blog. There wasn’t an official count, but there seemed to be an equal number of attendees of beginning blogger, intermediate blogger, and advanced expert bloggers. Connecting with peers who are at a similar stage in their blogging/business journey is just as important and enriching as networking with experts. Listen to the stories of your peers, their goals and struggles. Whatever you have been going through, chances are somebody else will have gone through it, too. There is comfort in that. I’ve already shared some tips for the introverts amongst us. If you’re more outgoing and the idea of lots of new people isn’t intimidating to you, focus on helping others be more comfortable. Look around and be mindful of people who are standing by themselves or look lost. Approach them with a smile and try to make it easy for them to engage with you. Networking and making connections is incredibly valuable. This is true for pretty much any business but especially for blogging. Building and maintaining a network of people in your industry will help you grow your blog and your business authentically. I don’t know about you, but there are no other bloggers in my family or among my local friends. Meeting people who are passionate about blogging is rare. Enjoy it. Goals – Write down three goals. Blogging conferences are expensive. For that reason they often represent a significant investment in your business. As a result you want to make sure your investment pays off. Consequently, it’s a good idea to take time before the event and come up with a couple of goals you’d like to achieve. Use the following goals are an inspiration if you are unsure how to set goals for your next blogging conference. I recommend to write down two to three goals for your next conference. Check the Schedule. Which sessions do you want to attend? The conference schedule should be available weeks before the event. Check out the speakers and the topics. What are the topics that you are excited about? Conversely are there sessions that you aren’t interested in? Having a successful conference doesn’t mean you have to attend every session. Highlight the sessions you want to you want to attend. Maybe your conference has multiple sessions at the same time. Therefore ask yourself which topics are most important to you? If your goal is to gain as much experts knowledge as possible, you’ll want to attend as many sessions as possible. But if networking has a high priority, you might find it more beneficial to set up times where you hang out in the lobby and make yourself available to other people. Are business cards still necessary? The short answer: Yes. If you go to a professional blogging conference or networking events, you should have business cards. Business cards help you to quickly and easily exchange information. They also help you make an impression and stand out. Consider to include a current image of yourself (a headshot works best) on your business cards. Most people meet a lot of different people during a blogging conference, having your picture for reference makes it easier to remember you. Business cards make you look more professional. Business cards are cheap to print and worth the expenditure. You could also consider to include a promotional message on your business card. Maybe you’re launching a new product or service. You could create a special discount for your blogging conference friends and print it on your business card. This might work well if you are in the blogging about blogging niche. Depending on the size of the event, I’d recommend having about 50 to 100 business cards on hand. Be sure to include the name of your blog, email, and social contact information. Great places to print business cards are: Moo.com, Overnight Prints, or even your local Office Depot. Conferences start early and end late. Organizers are trying to give people as much value as possible. This also means that you will have to focus and concentrate for long periods of time. During the events, you’ll want to soak up the knowledge the experts share. During networking events and in the evenings you’ll want to take up the chance to get to know more people and deepen the relationships. As a result, you’re going to be tired at some point. I don’t know about you, but as an introvert, I need some time to myself to decompress. Schedule some time for a nap, or check out the hotel gym, or explore the neighborhood. Recognize your limits and practice some self-care. Conferences start early and end late. It might not be possible, but you might want to schedule a day after the conference to decompress and ‘recover’. That’s also a great opportunity to ‘download’ the information you’ve learned and follow up with the people you’ve met. Water and coffee are standard fare at a blogging conference. I suggest packing a reusable water bottle. My current favorite is a Hydroflask bottle. Ok, I am slightly obsessed with them. Hydroflask bottles keep your water nice and cold, or if you choose to fill it up with coffee, they’ll stay nice and hot. Since water refills tend you be free, you’ll save on spending big bucks at the hotel gift store for bottled water. And you’re doing your bit for the environment. In my book that’s a win all around and worth lugging them to the conference. Despite proper planning, sometimes things don’t work out as planned. During one conference a group of my blogging friends and I went out for lunch. Long story short the restaurant got busy, the waiter overwhelmed, the manager was nowhere to be found and so was our food. Most people in the group ended up leaving upset and hungry. Lesson: It’s a good idea to pack some snacks. Depending on your dietary preferences you might want to consider pre-packaged nuts, an energy bar, jerky, or some gummies. 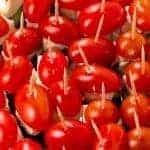 Something to give you a quick jolt of energy when you need it. Gum is a bit controversial. Most of us don’t want to have smelly breath, and typically gum or mints are the answer. Just be aware that some people won’t appreciate you chewing gum in public. Did you know that Oprah hates when people chew gum around her? Mints might be a better alternative (except if you’re like me and dislike mints). Furthermore, leave your favorite perfume at home. Some conferences will actively remind you to do so but they don’t it’s a good idea. There are a lot of people with allergies and scent sensitivities so it’s best to be thoughtful leave your perfume at home. Most conference venues (at least in the US) tend to be well air-conditioned and depending on where you sit; it can get downright cold. If you are temperature sensitive this can get downright uncomfortable and ruin your experience. Having a light sweater, cardigan or jacket for easy layering can come in super handy. This solution is not for everybody. A major expense for any blogging conference (unless you happen to live nearby) are travel and hotel costs. Conferences frequently will have private Facebook groups. See if you can connect with other people who want to share a hotel room. It can drastically reduce the cost of the hotel room. Just keep in mind that hotels often charge an additional fee if there are more than two people sharing a room. The more prepared you are, the less time you’ll have to spend being confused. 😉 What amenities does the venue have? How far away from the airport is it? Does have a shuttle service? What’s their late checkout policy? What sights, restaurants, and stores are in walking distance? It will help you to get a good seat, get set up, and settled in. Whip out your notebook, tablet, or whatever else you use to take notes. Besides that speakers will also appreciate it if you’ve arrived in time. It’ll also give you the chance to meet people before the event. Likewise checking in with your loved ones or your office is perfectly acceptable between events. Just don’t use every break to check on kids, emails, employees, and whatever else is going on in your life. Remember that you are attending the blogging conference to meet people in person. Therefore don’t bury your face into your phone to avoid social interaction. It’s a good idea to bring a notebook … just in case. I’ve found that notebooks tend to be included in conference goodie bags or be given out during the event. But if you want to be certain it’s a good idea to put a notebook in your bag. Which brings us to the laptop question. Do you need to bring a laptop? Not necessarily. It depends on your style of note taking. I bring mine, because I do like to take notes on my laptop as well as in a physical notebook. A lot of people will also bring a tablet and take notes that way. Does packing overwhelm you? Maybe you are you uncertain of what to pack? 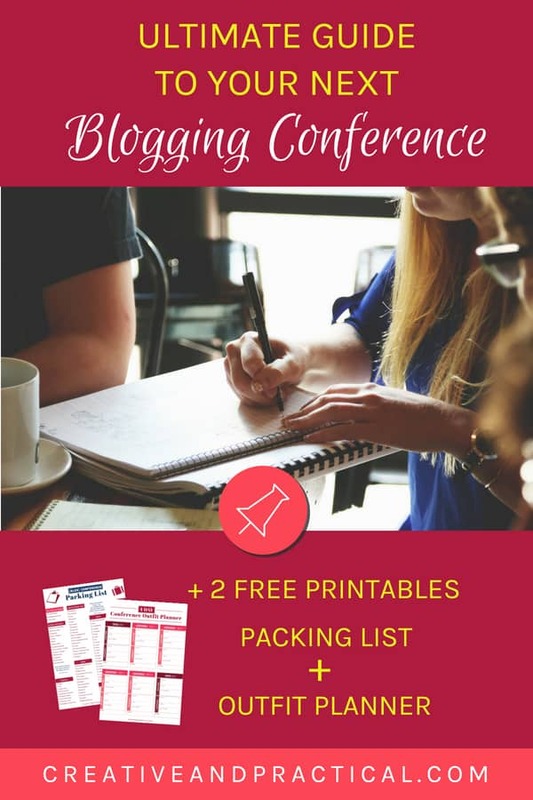 As a bonus, I’ve created a Blogging Conference Packing List which you can download for free in my resource library. You’ll also have the opportunity to get on my exclusive CAP newsletter where I share productivity and lifestyle tips, blogging trends, and even my favorite recipes and a few times a year awesome deals. The print my free packing list and use it as your packing guide. Not everything is going to apply, and not everybody travels with the same amount of stuff. I know other bloggers who can pack everything in carry-on and still look presentable and put together throughout the conference. I admire that, but that’s not me. Go through the list, cross out what does apply to you and then check everything you’ll need for your trip. Conference organizers will typically give information on the dress code. You can expect that to be business casual and the interpretation of that depends on your style and comfort level. Just keep in mind that this is a professional event. You don’t need to look like you’ve hopped out of Vanity Fair, but you’ll want to come across like a professional. This will be especially important, if you plan on making connections with vendors and companies. I am not a style expert at all, but generally speaking, I’d recommend you leave your yoga pants at home or in the hotel room. Finally, to help you plan with your packing, I’ve also included an Outfit Planner. The Blogging Conference Outfit Planner is for a four-day conference including two days of travel, so of your conference is longer or shorter make the necessary adjustments. You’ve made it. You’re back home. And you had a good conference, listened to exciting speakers, met new people in your niche, and made connections with vendors. You’ve done a lot of work. But your work isn’t entirely done yet. If you truly want to maximize your blogging conference experience you’ll need to do some follow-up work after the conference. Don’t skip this step! You’ve spend a lof of time, money, and energy to form meaningful relationships; don’t let them go to waste. Are you interested how I found this quote? Check out my post: 8 excellent resources to make powerful inspirational quotes. You’re back home and busy catching up. It’s easy to put off the follow-up. If you want to nurture the relationships you started make it a priority to schedule time to follow up with the people you met. Therefore put it in your calendar and don’t put it off; this part is as important as attending the conference in the first place. You’ve probably accumulated quite a few business cards on your trip. There are a variety of Apple and Android apps that can help you digitalize. Create a follow-up email a few days after the conference with people who stood out to you. Remind them of your encounter and see if they would like to stay in touch. You can also follow your new networking friends on social media. Did you take a good picture with somebody? This is an excellent method to develop and strengthen your professional network and grow your blog and business. If you took the time to take notes. Take some time to go over them. What were the five things that stood out to you most? What was your biggest takeaway or aha-moment? Was there a speaker that share something that lit up a lightbulb? (A good follow-up is to send them a quick tweet and thank for their talk, and share what you found inspiring). The important information is to use the new information you’ve learned and implemented them in your business. Do you feel your investment was worth it? Did you meet the goals you set out for yourself? If you fell short in some area think about why that was. What have you learned that will help you grow in your business? Will your networking efforts lead to future collaborations such as guest posts or sponsored posts? Did you meet people who resonated with your message? How can you build better relationships next time? Take notes and file them with your conference documents for your next blogging conference or networking event. As a result, if you are pretty sure that you will attend the following you, you can save some real money by booking next year’s event straight away. Often, conference organizers will have a super early bird special if you buy next year’s conference ticket on the spot. If you can wing this, I’d highly recommend budgeting for this at the time. Most conferences will allow you to transfer your ticket. Which means that if you have something coming up during the year and you realize you won’t be able to attend, you can still get your money back or if you are good at negotiating even get a higher price than what you’ve paid during the early special offer. There are more good conferences than the ones I am listing below, but these are the ones that either my blogging friends or I have attended. Activate is the brainchild of Ruth Soukup. Ruth is the New York Times Bestselling author of How To Blog For Profit: Without Selling Your Soul. 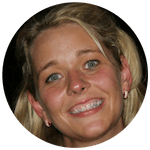 She is also a sought-after speaker and the founder of Elite Blog Academy and Living Well Spending Less and produces a weekly Podcast ‘Do it Scared.’ Disclaimer: I am a huge fan of everything Ruth and her team produce and am Elite Blog Academy. This conference truly embraces everybody from bloggers who are in the very beginning stages to bloggers who have a seven-figure income. The atmosphere is incredibly welcoming, and everybody’s eager to help each other, and the atmosphere is incredibly supportive. Another Activate perk is that each attendee has to the opportunity to schedule a free 10-minute One-on-One coaching sessions with an expert. It’s how I found my blogging coach and mentor, the amazing Kim Anderson, founder of Kim Anderson Consulting and Thrifty Little Mom. Check out her podcast Just Keep Blogging. I first heard about Alt summit after Jennifer from Pretty Neat Living reviewed the conference on her blog a few years ago. Alt Summit is geared towards creative content creators, shop owners, entrepreneurs, and social influencers. Likewise, Alt Summit is open to content creators at all levels. Because of that Alt summit draws a diverse and creative crowd. Sessions cover a huge range of topics from podcasting to using a DSLR in your business or how to license your products. Alt Summit conferences are held in beautiful locations like Salt Lake City, Palm Spring, New York City, and San Francisco. Networking and collaboration are a big part of what makes Alt summit special. BlogHer is probably the most widely known blogging conference, at least for female bloggers. 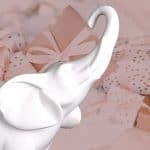 Founded in 2005 (ancient times when talking about blogging and content creation), BlogHer has grown to be a massive event with the intent to empower female content creators. Among many other past, speakers include celebrities like Gwyneth Paltrow, Arianna Huffington, Chelsea Clinton, and Serena Williams. Anecdotally, I’ve heard that because it’s a mega conference, it can be a bit overwhelming. FinCon is the premier conference for personal finance content creators. According to FinCon’s website their conference is the world’s largest Financial Content Expo. Fin Con sets out to help content creators in the personal finance and investment Niche to create better content. Collaboration, forming partnerships and connecting with brands are huge at Fin Con. The four-day event covers everything from Google Analytics to how to become a speaker. 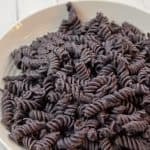 I am not a personal finance blogger, but I’ve heard from other blogger friends that FinCon one the professional blogging highlights of their year. Haven is another blogging conference that is geared towards bloggers at any stage of their blogging journey. It’s geared towards to bloggers in the DIY and home decor niche. I’ve heard rave reviews about this particular conference from blogging friends in the craft and DIY niche. Also, among past speakers include mega bloggers and HGTV stars Ashley & Whitney from Shanty2Chic, Melissa Meredith from Tailwind, and Amber Bracegirdle, co-founder of Mediavine. Social Media Marketing World is a mega-conference in San Diego. Organized by Michael Stelzer from the Social Media Marketing Podcast, this conference is a mega event. Most noteworthy, in previous years the organizers rented out an entire aircraft carrier for the first night’s networking event! Therefore this conference grows year after year, and every conceivable social media expert you might have heard of has spoken at this event. Over the years Social Media Marketing world has created a variety of tracks. For instance, they offer a blogger’s conference ticket which gives access to events specially geared towards bloggers. The Craft + Commerce conference is a bit different. This blogging conference organized by Convertkit. If you haven’t heard of Convertkit, it’s an email service provider that has become widely popular among bloggers and content creators. I use Convertkit in my business and am very happy with it. In 2017 Nathan Berry (founder of Convertkit) and his team organized their first conference for bloggers and content creators. And word of the conference took off like their product. Most importantly, by 2018 the speaker lineup included Pat Flynn from Smart Passive Income, YouTube personality, and Convertkit designer Charli Prangley, and fellow Youtuber Casey Neistat as well as many other experts. Finally, there are many more blogging conferences covering a lot of niches. From travel blog conferences like Travel Blog Exchange (TBEX) and the International Food Blogger conference for food blogger to Mom 2.0 for bloggers in the parenting niche . There are so many conferences, and I’ve just named a very few. Research different conferences, their venues, speakers, and prices. Now it’s time for you to share. Have you ever attended a blogging conference? What’s been your favorite blogging conference? What are your best networking tips. Leave a comment below or connect with me on Facebook, Instagram, or Twitter. You can learn more about me what Creative + Practical on my About Page.